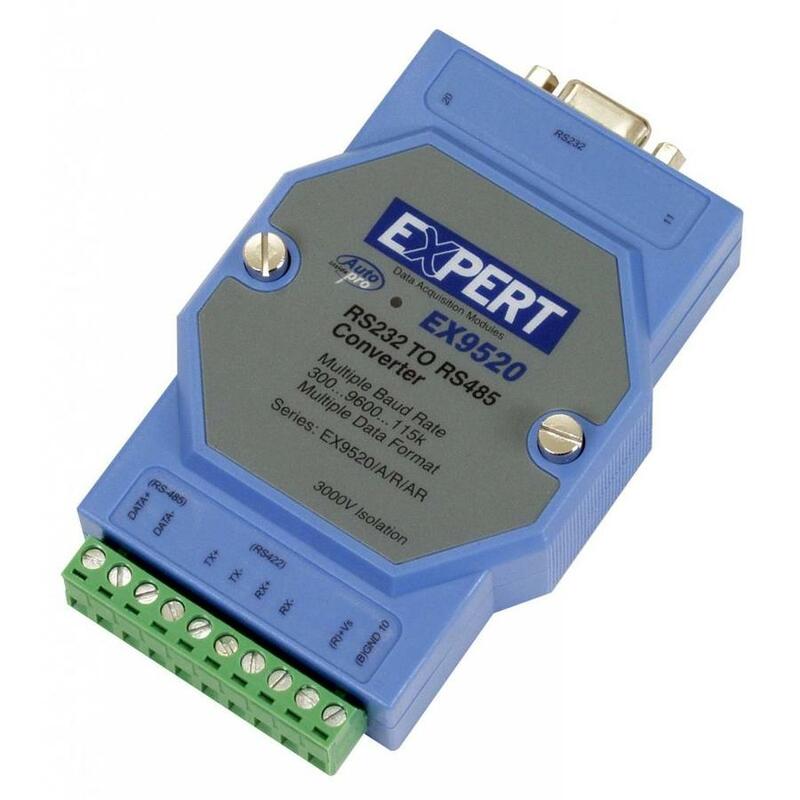 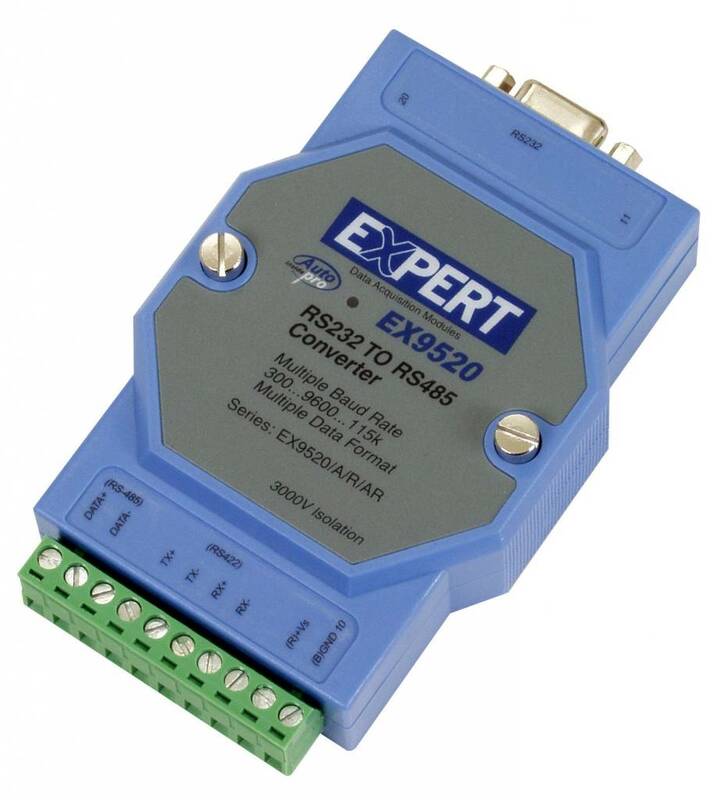 The RS232 to RS485 Converter is capable of auto flow control and automatic baud rate switching. 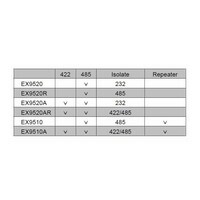 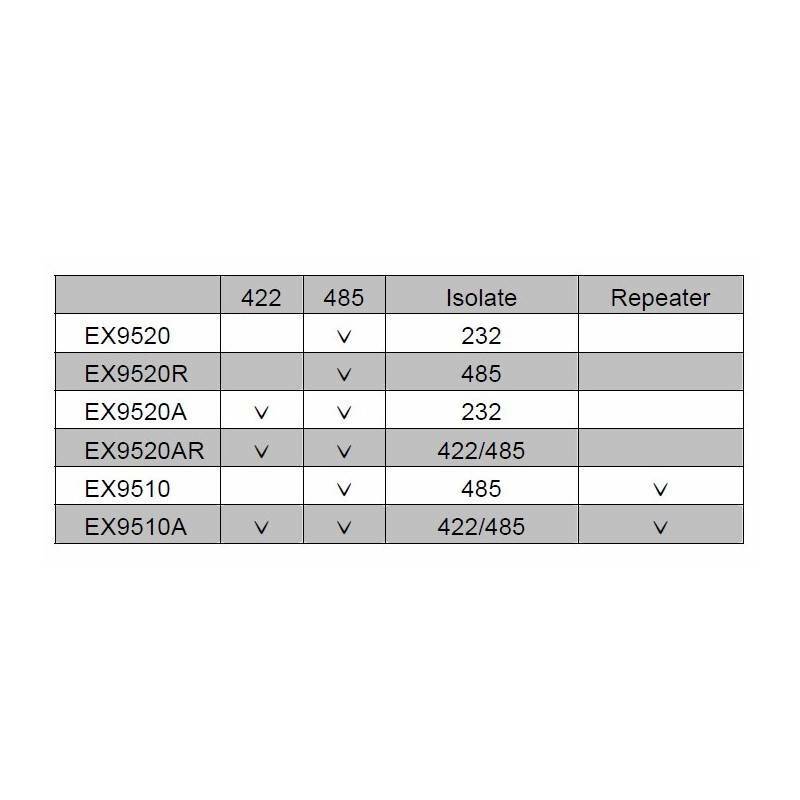 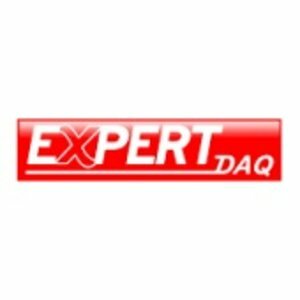 You may instead of the EX9520AR get the EX9520AR+ which can be powered with 9V - 48VDC instead of 10V - 30VDC. The RS232 to RS485 Converter can be operated in extended temperature range and the RS422 / RS485 input is isolated.